Dating when you are twenty or thirty is a lot different than trying to meet singles when you are in your fifties or sixties. The good news is that you’ve gained the experience to know what you want and what you don’t. The bad news is that it can still be a jungle out there. If you are using online dating to find a new relationship (and I suggest you give it a shot! ), the first thing you have to figure out is which site to try. I’m going to go over some of the most popular dating sites for people over fifty and what is good and bad about each of them. 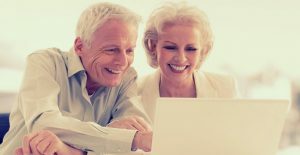 For a long time, Seniorpeoplemeet was the leader in dating for people over fifty, but the name has started to turn off people who don’t consider themselves to be “senior.” The result has been that the people on this site tend to be a little older and act a lot older than they do on other sites. In fact, a common complaint that I hear from my clients is that Seniorpeoplemeet is full of “old people.” who just want to sit around and eat dinner at 4 PM. If that doesn’t sound like the life you are looking for, you probably want to try another site. Ourtime was created by the same company that owns Seniorpeoplemeet. They made it for the purpose of attracting members of the Baby Boomer generation that were over fifty but didn’t consider themselves to be senior citizens just yet. They also have been guilty of making some claims that are unrealistic. In one commercial, a man claims to have received 10 emails in his first 5 minutes on the site. The only way that actually happened is if his profile started with: “I’m a billionaire with a terminal illness and no living family.” The site is successful in reaching a younger group than the people using Seniorproplemeet, but it still has a tendency to feel too old for a lot of people. Match.com is my top choice for people over fifty in search of a date or relationship. It’s one of the largest dating sites in the world and it tends to draw a much livelier crowd than sites that were designed just to attract seniors. 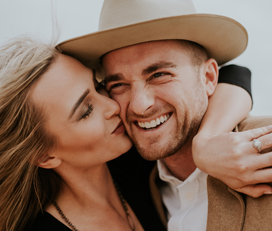 You can set up your search so that it only focuses on the age group of singles you are interested in meeting and it has a very easy search tool to help you find the man or woman that you are looking for. If there’s one thing to be careful of, it’s younger singles who are looking for a cougar or a sugar daddy. If anyone like that approaches you, you can easily block them and you’ll never have to deal with them again. Here’s a bonus tip for using Match.com, make sure you always sort your search results by “activity date.” That lets you know who has used the site most recently. 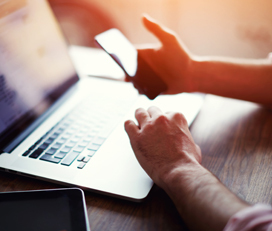 After all, you don’t want to waste your time on people who haven’t logged in in a long time, chances are that they aren’t even using the site anymore and just forgot to erase their profiles. POF (Plentyoffish.com), is the world’s largest free dating site. One of the reasons that it is the world’s largest dating site is because it is free. I’m not mentioning this site because I think you should try it, but to warn you that you should stay away. The fact that it is free draws in a lot of people who aren’t that serious about meeting someone. This site is also known for having notoriously bad customer service. If you end up needing any personalized help with the site, it is nearly impossible to get. Zoosk is another site that I’m listing as a warning instead of a recommendation. I have had more complaints from members about running into online dating scams on Zoosk than any other mainstream dating site. While it is possible to meet a real person on this site, I’d proceed with caution if you decide to use it. Hopefully, this gives you a little better idea of the best and worst online dating sites for seniors and singles over fifty. 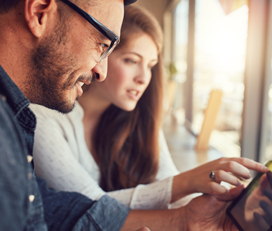 If you need help deciding which online dating service is right for you, or you need help making sure that you have the best profile and photos when you dive back into the dating pool, give me a call (Eric) at 1-888-447-7634, or check out our services to see how we can help you take control of your online dating life.